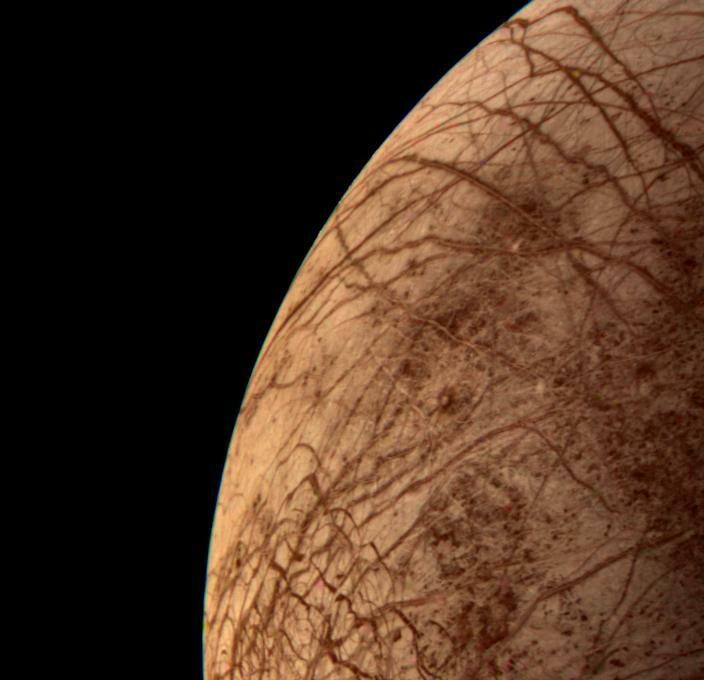 This color image of the Jovian moon Europa was acquired by Voyager 2 during its close encounter on Monday morning, July 9, 1979. 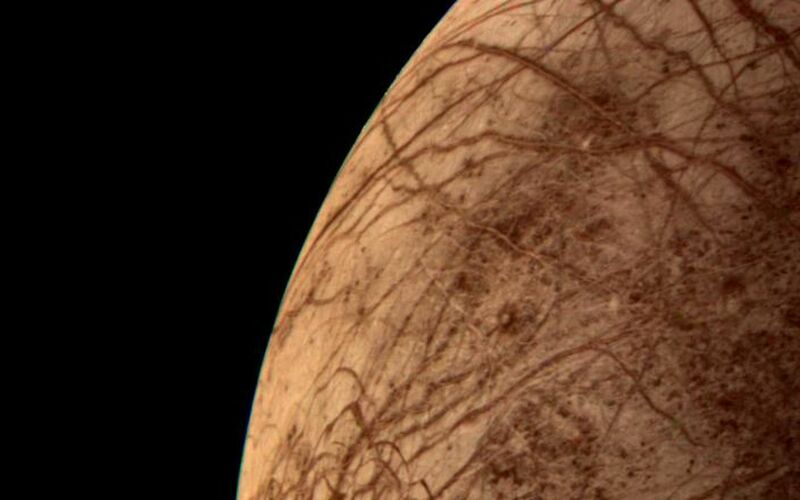 Europa, the size of our moon, is thought to have a crust of ice perhaps 100 kilometers thick which overlies the silicate crust. The complex array of streaks indicate that the crust has been fractured and filled by materials from the interior. The lack of relief, any visible mountains or craters, on its bright limb is consistent with a thick ice crust. 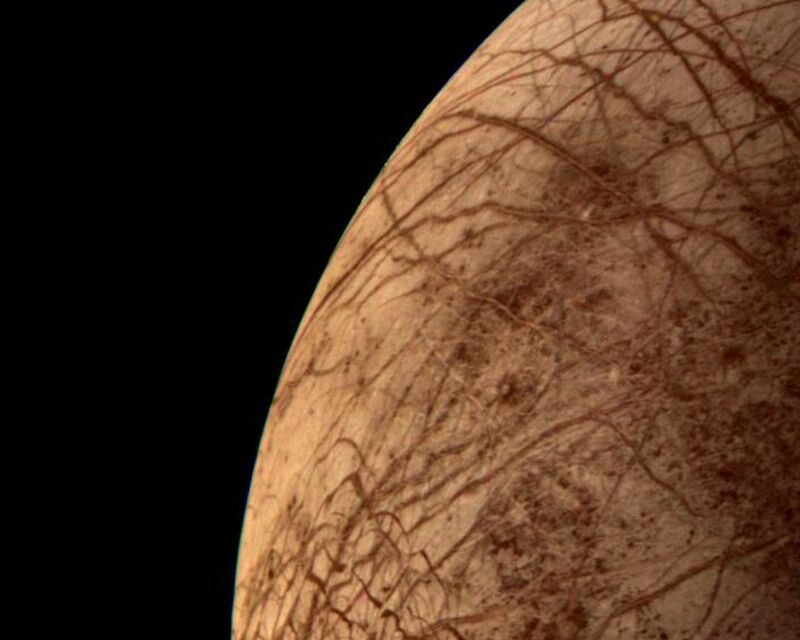 In contrast to its icy neighbors, Ganymede and Callisto, Europa has very few impact craters. One possible candidate is the small feature near the center of this image with radiating rays and a bright circular interior. The relative absence of features and low topography suggests the crust is young and warm a few kilometers below the surface. The tidal heating process suggested for Io also may be heating Europa's interior at a lower rate.